Well. The mumps have made their way to Pittsburgh. It was reported that captain Sidney Crosby has been diagnosed with the mumps and will be out for tomorrow’s game versus Tampa Bay. “It came about as a bit of a surprise to us,” head team physician Dr. Dharmesh Vyas said Sunday afternoon. “Every indication was that he was well protected against the disease.” He was given immunization and shots before leaving for the Sochi Olympics, however, his results came back positive. There have been 12 other players in the NHL who have been diagnosed with the mumps. He is among Corey Perry, Francois Beauchemin, Clayton Stoner and Emerson Etem of the Anaheim Ducks, Ryan Suter, Keith Ballard, Marco Scandella, Jonas Brodin and Christian Folin of the Minnesota Wild, Tanner Glass of the New York Rangers and Travis Zajac and Adam Larsson of the New Jersey Devils. On the bright side, his course of illness is supposed to be cleared by Monday. “In our case we’re going through a period here that’s pretty rough,” general manager Jim Rutherford said. “It’s a period that builds character and if you can get through it it’s going to help you in the long run.” Seeing as though Pittsburgh has undergone a plethora of unusual health issues this season, they are holding their ground just fine. One of the newest additions to Pittsburgh, Blake Comeau, has been proving to be quite the steal. The Penguins acquired Comeau this summer and his goal scoring has been clutch for Pittsburgh. With Columbus in 2013-14, he registered 16 points (5G-11A) in 61 games and a -2 rating. 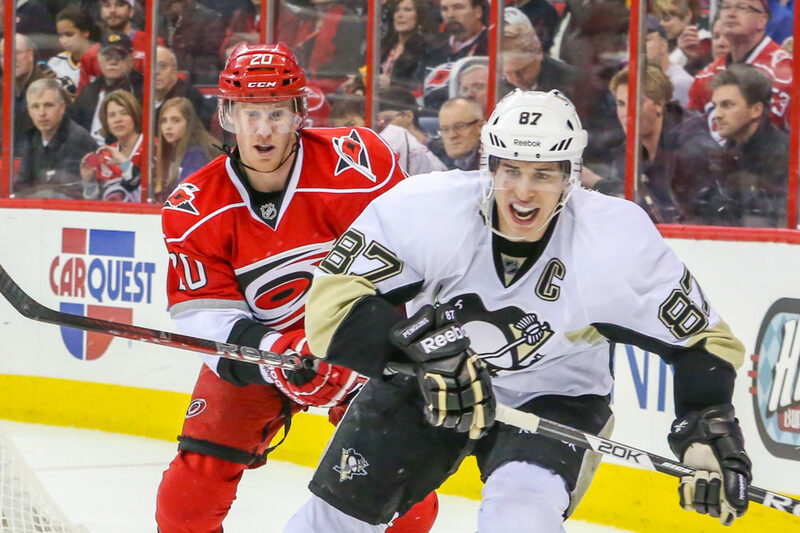 This season, in only 28 games played with Pittsburgh, Comeau has 18 points (10G-8A) and a +5 rating. The Penguins played the Columbus Blue Jackets last night (12/13) and despite a shootout loss, Comeau found the back of the net against his former team for his 10th goal of the season. Watch the goal here: http://video.penguins.nhl.com/videocenter/console?id=2014020441-326-a. The only other players with 10+ goals on the Penguins so far are Patric Hornqvist (11G) and Evgeni Malkin (15G). In the last 12 games versus the Lightning, the Penguins have won 10 of the contests, 7 of those games being consecutive home game wins. Malkin has an 8-game point streak against Tampa, with 21 points (12G-9A). Marc-Andre Fleury has six consecutive wins against the Lightning, dating back to January 15, 2012. It would have been interesting to see the head-to-head battle with Sidney Crosby and Steven Stamkos in tomorrow’s game. However, both teams are proving to have great depth this year. Both teams have exactly 11 players that have 10+ points so far this year. The real battle will be the battle of the depth chart in tomorrow’s match up. 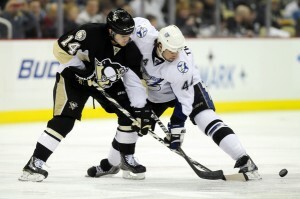 The Penguins take on the Lightning at home tomorrow night at 7pm.